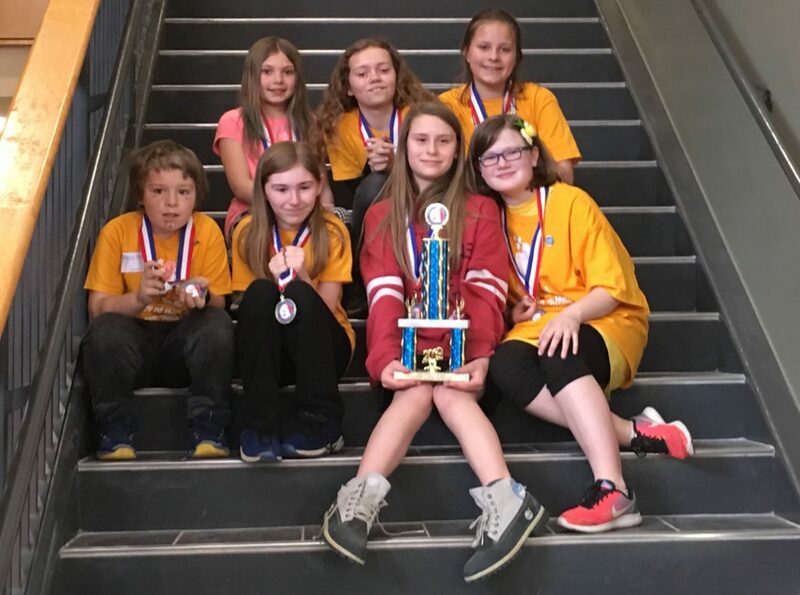 For the second year in a row, Acton’s Problem 4 Structure team won first place in their division with this year’s problem. They competed against 4 other teams in their division, successfully “tossed” their balsa wood structure and successfully placed 585 lbs of weights on it before it collapsed. The competition was TIGHT at States, so the team needs to keep building on it’s skit and props to score well at Worlds. They were CLOSE to getting another Dube award, but two other teams scored better than them in one category, but only by a few points! Now the challenge is to once again seek donations to fund a trip to the Worlds Tournament in just a few weeks. This year the Worlds Tournament is at Michigan State University in East Lansing, Michigan on May 22 through May 25. Anything you can do to help is appreciated! The ways to accept these donations are being set up, so please check back soon for more details. 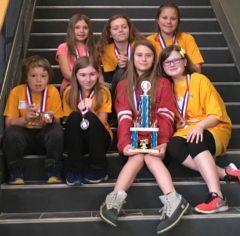 This year the team competed in Division II, which is the middle-school-age division even though they have 4th and 5th graders on the team, so they are a relatively young team competing against teams composed mainly of older members, so it’s going to be a challenge. Previous Previous post: 2019 Regional Competition – They’re at it again ..
Next Next post: Let the Fundraising Begin!